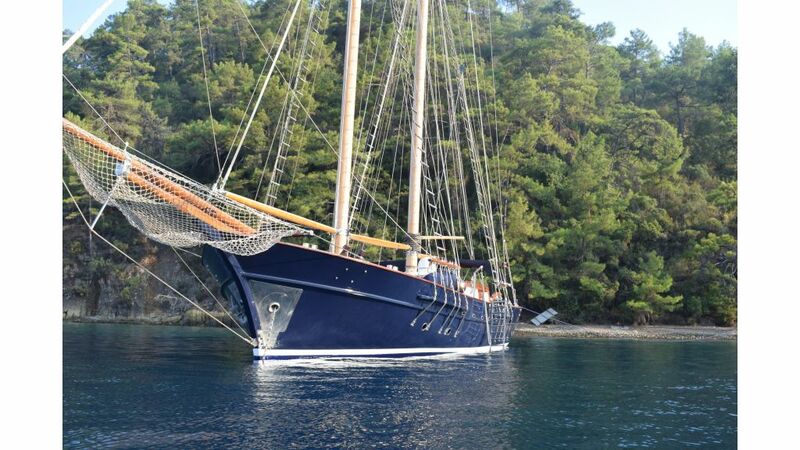 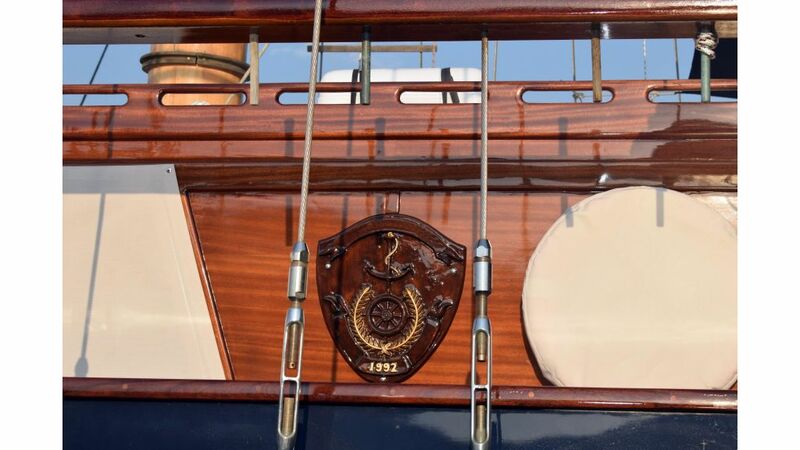 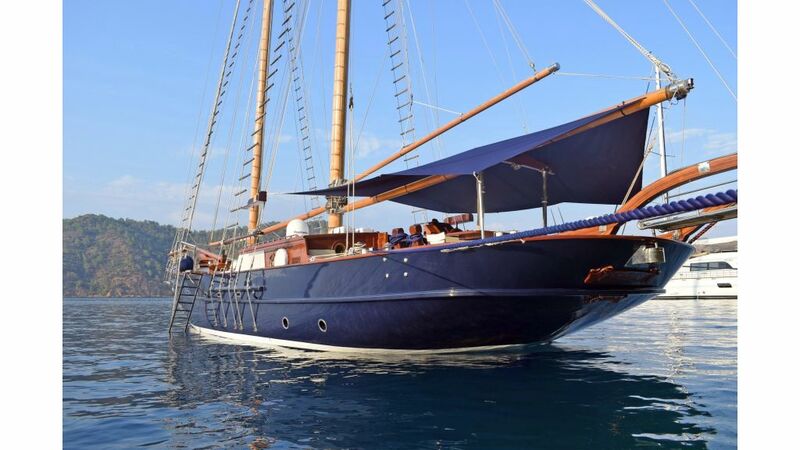 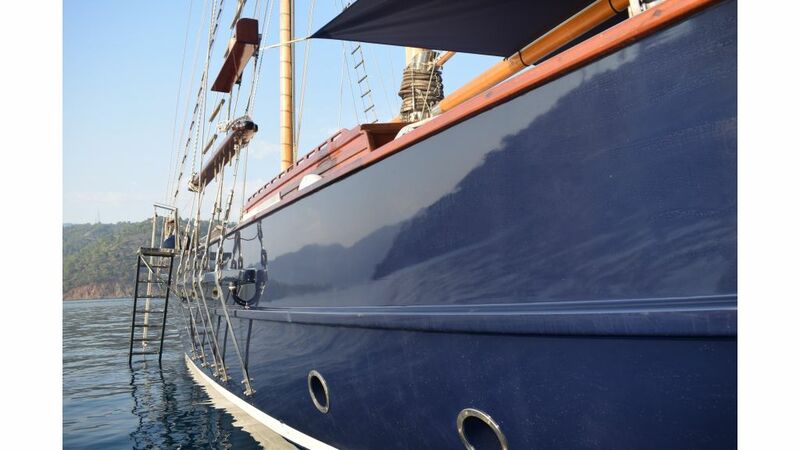 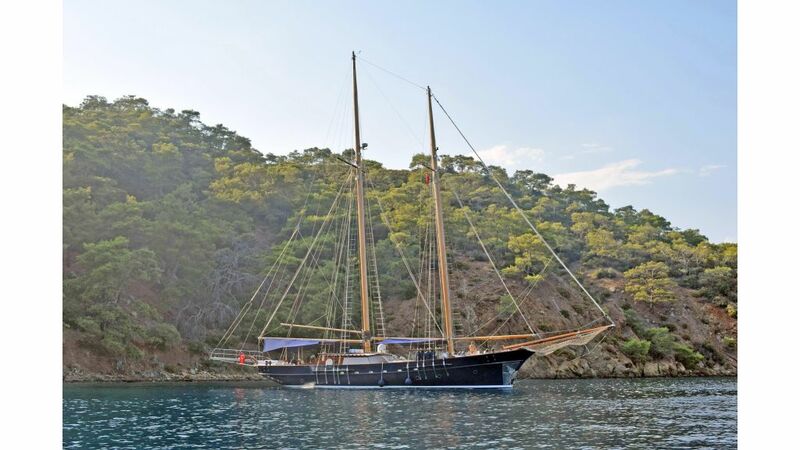 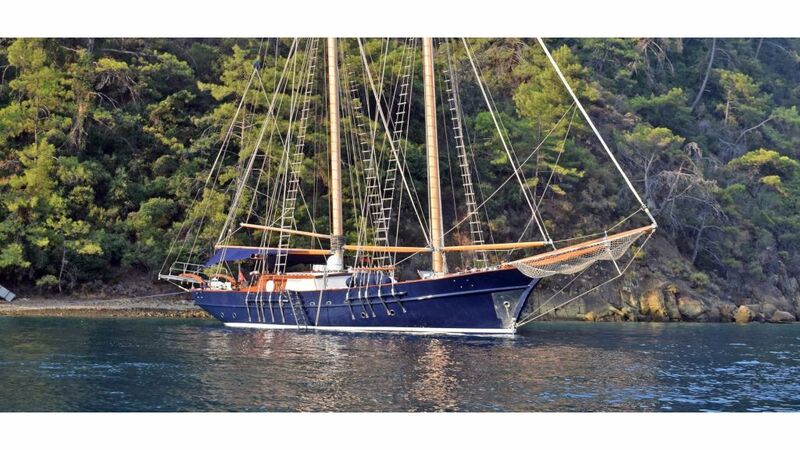 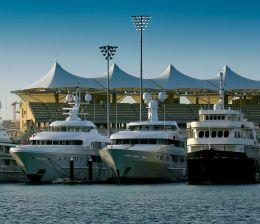 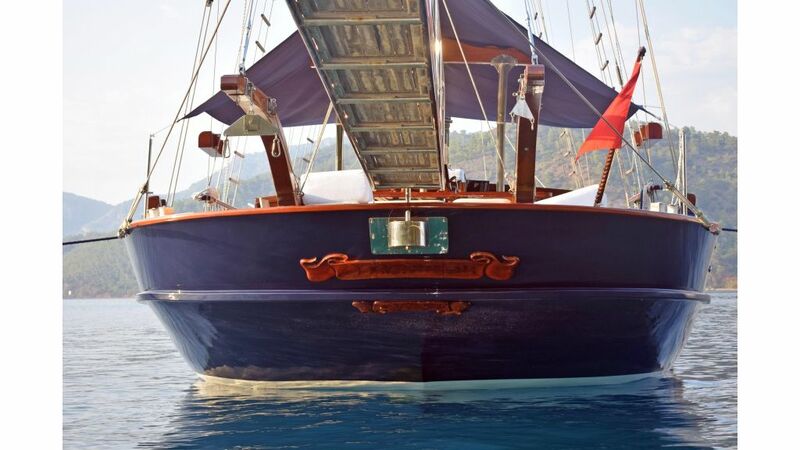 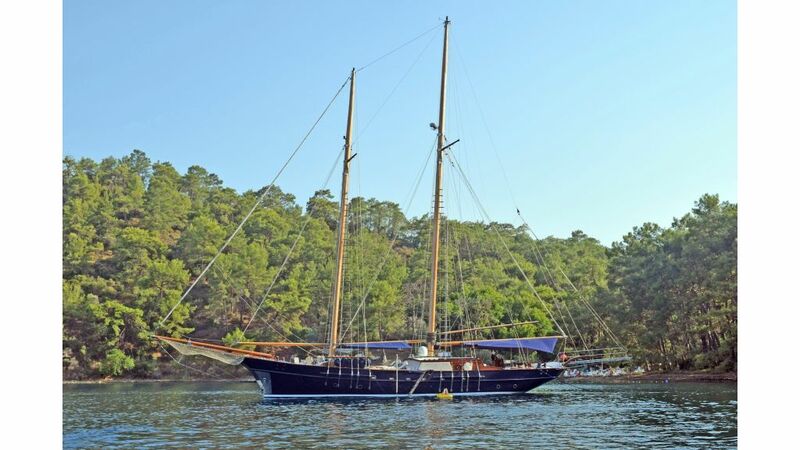 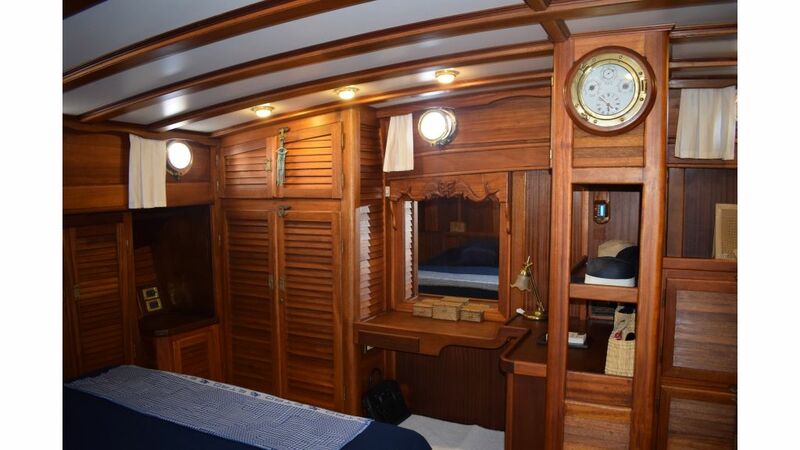 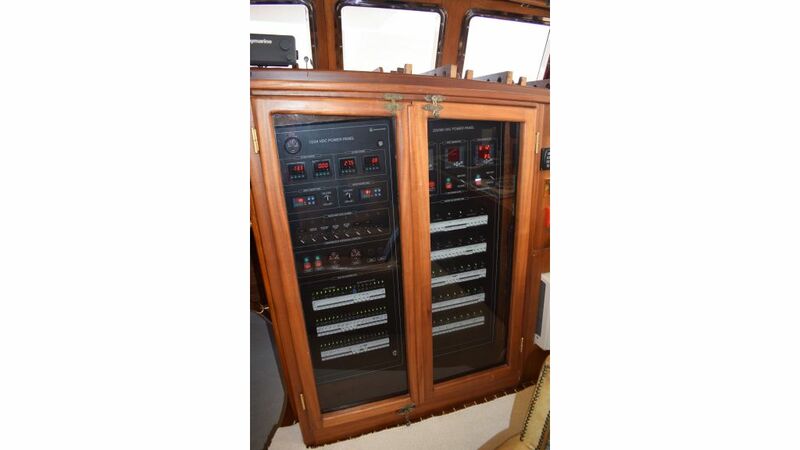 2 Cabins Schooner is a very well maintained and over equipped private yacht in top condition. 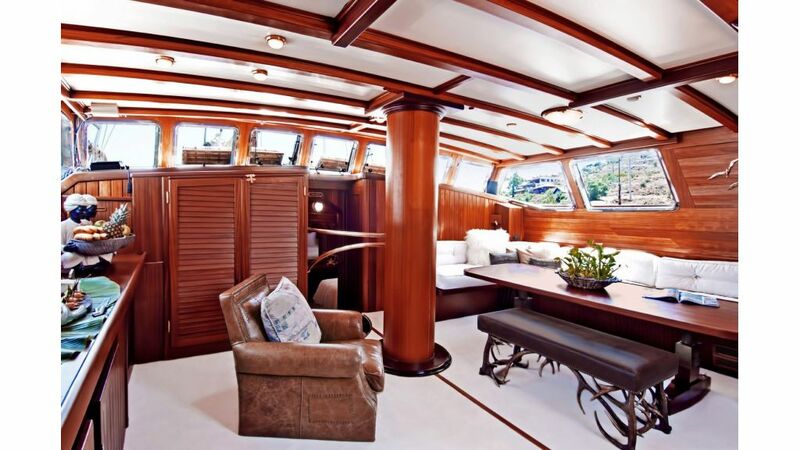 Main salon : 30 square meters, High gloss varnish on iroco and mahogany, Table for 8 persons, 1,5 x 2 m bar, TV Dolby surround system, Video and HiFi, Library, Integrated wheelhouse and map desk, Curtains, carpet, air condition. 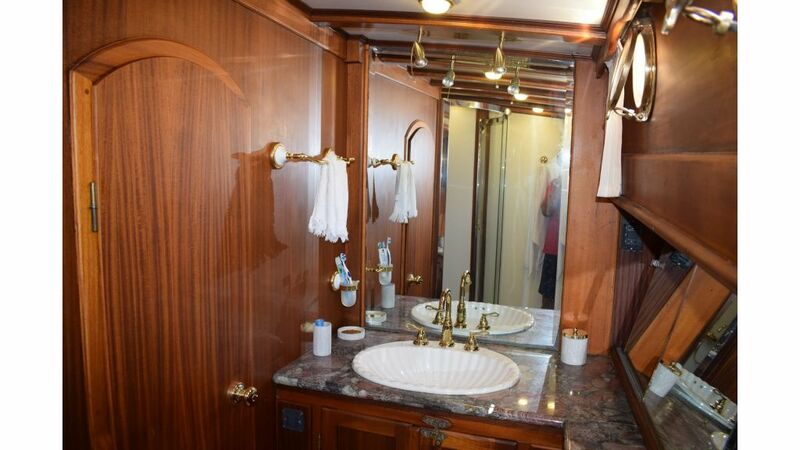 Master Cabin : 25 square meters, King-size bed, High gloss varnish on iroco and mahogany, TV, HiFi, Video, DVD, Mini-bar, Refrigerator, safe, Carpets, oil paintings, aquarelles, Brass equipment, Air conditioner, 6,5 sqm bathroom, Sink, shower, large mirror, Marble desk and floor, Separate WC with sink and Vacuflush-system. 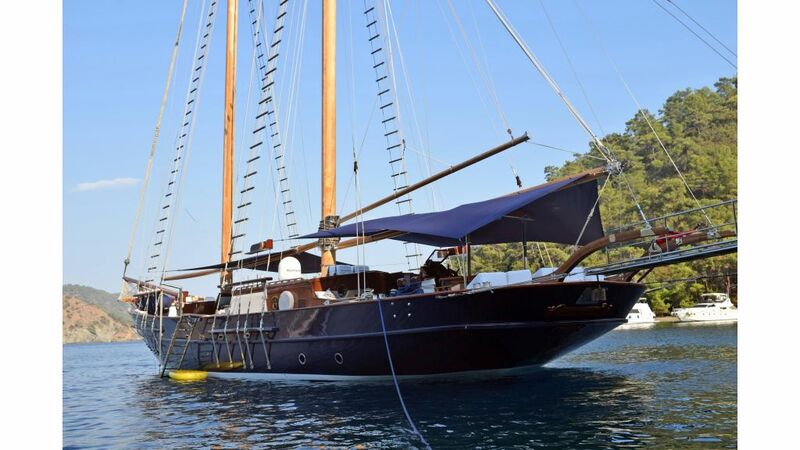 Starboard and Port Cabin : 9 square meter, 2 double bedrooms, TV, HiFi, DVD, Mini-bar, Air condition, 4,5 square meter bathroom, Sink, shower, mirror, Marble desk and floor, Separated shower cabin, WC with sink and Vacuflush-system. 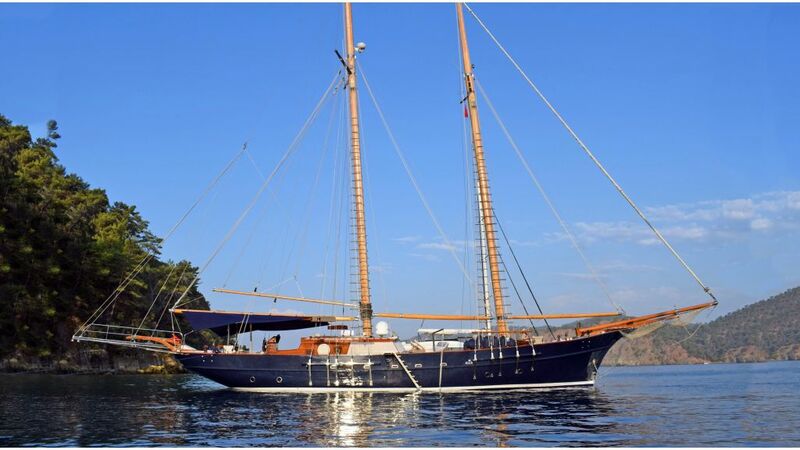 Galley : Fully equipped with Kitchen Aid, Electric cooker, Oven, Coffee machine, Dishwasher, Refrigerator, Deep freezer, Ice machine.